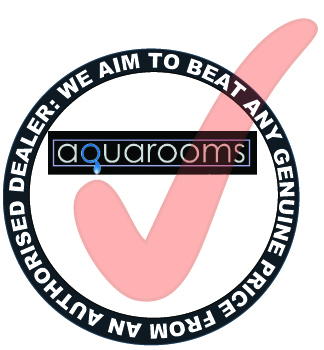 Aquarooms of Barnet formally trading from Hampden Square, Southgate offers a complete service from design, supply & install to supply only. Our design team consists of a designer and a fitter who will check that any specific products you require can be accommodated into your setting. Your measurements will then be converted on to a 3D CAD system at the showroom. All bookings and discussions are carried out back in the comfort of our showroom, where you will be able to touch & feel many of the products you have chosen in a relaxed environment. Grant the owner has over 30 years of plumbing experience with the conceptual designs of Leading Manufactures has resulted in a completely new look Showroom within the bathroom industry. Whether your room is bijou or spacious, there are settings to suit all needs and life styles. Aquarooms studio has fully tiled shower trays and wet room floors, which have been produced using Elements, an environmentally friendly waterproof structural foam. The unique properties of this product have enabled tiled curved shower walls, seats & decorative mosaic features to be incorporated into designs. Grant says ‘‘Wet rooms and fully tiled shower trays are so versatile that they can be adapted to suit individuals needs, however varied. From busy families to less abled people, we can offer stylish solutions that can be combined with underfloor heating and mosaics to create a sanctuary in your own home’’. Aquarooms are main Dealers for Villeroy & Boch Bathrooms Showing a large selection of there Baths Sanitryware, brassware and Furniture, Also on display is Italian ceramic manufactures Art Ceram and Hidra pushing sanitryware design to the limits. Brassware on display is from Bongio, Bossini, Hansgrohe, Keuco, Crosswater. Bongio is a leading designer Italian brassware manufacturer since 1936 and always pays great attention to the technical quality and to the design of its own products, promoting lines of taps with great technical and functionality that is renowned for its unique Design and functional brassware options. Bossini also Italian has unique Showing options Using LED lights and waterfall heads their pieces are to be coveted. Hansgrohe, Keuco & Crosswater are all well established manufacturers offering a huge range of taps & showers. Also on offer at Aquarooms is a large range of Bathroom Accessories and Mirrors and Lighting from Bathroom Origins and HIB that have been used within the showroom to dress the bays.